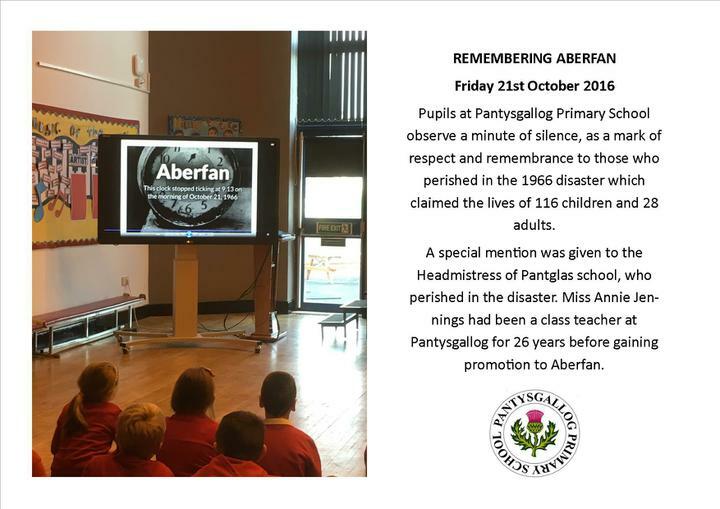 At 9.10am this morning, Friday 21st October 2016, the school assembled in the hall for a special assembly of remembrance for the victims of the Aberfan disaster in 1966. 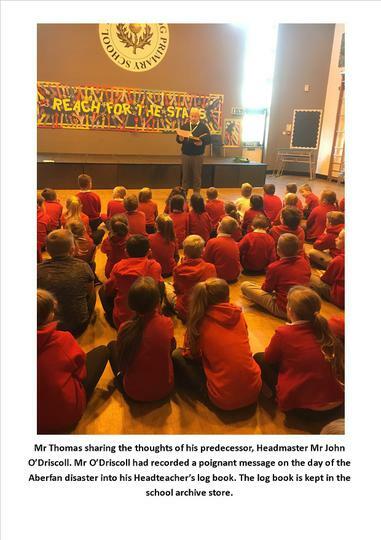 Mr Thomas showed the children a short film before the whole hall observed a minute of silence as a mark of respect and remembrance for those who perished. 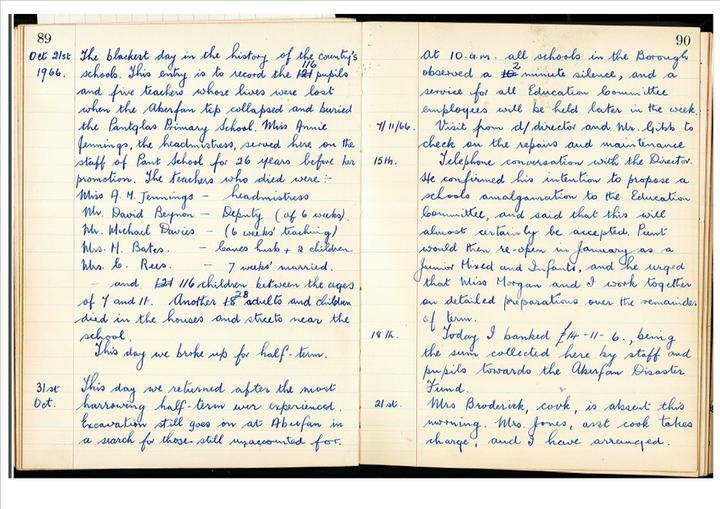 Following the silence, Mr Thomas read from Pantysgallog's Headteacher's log from the time of tragedy. 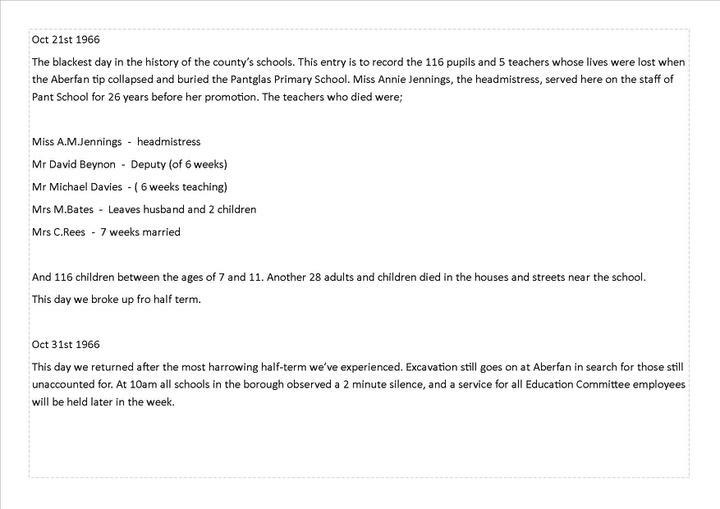 Mr John O'Driscoll wrote a poignant message detailing the tragic events of the day.